Get the Full StoryAre you ready for a bunch of new games for Sony's PlayStation 4 and Microsoft's Xbox One? Because they're coming! Sony's annual E3 press briefing on all things PlayStation is Monday, June 11 at 9:00 p.m. EST 6:00 p.m. PDT. As always, Sony will broadcast its briefing on several platforms Twitch, YouTube, and Facebook are all hosting streams of the event. The E3 briefing is Sony's annual opportunity to announce major PlayStation games, show off upcoming games, and generally speaking address its most loyal fans directly. It's the kind of event where Sony might reveal a major new "Uncharted" game for example only it's unlikely that a new "Uncharted" game shows up anytime soon . Usually, it's an event full of surprise reveals intended to wow viewers. But at E3 2018, Sony is doing something different: Telling everyone ahead of time what it's going to show. Madness! What is "Death Stranding"? That's a great question. Even though I've seen several trailers for the game, I have no idea what it is. The game is being created by "Metal Gear" series creative lead Hideo Kojima, a legendary character in the video game business. It stars Norman Reedus, of "The Walking Dead" fame. He's the main character. Mads Mikkelsen, a Danish actor best known as the bad guy from "Casino Royale," appears to be the antagonist. The game is a collaboration between Hideo Kojima and famed film director Guillermo del Toro. It's being funded by Sony, which means the game is only coming to the PlayStation 4. 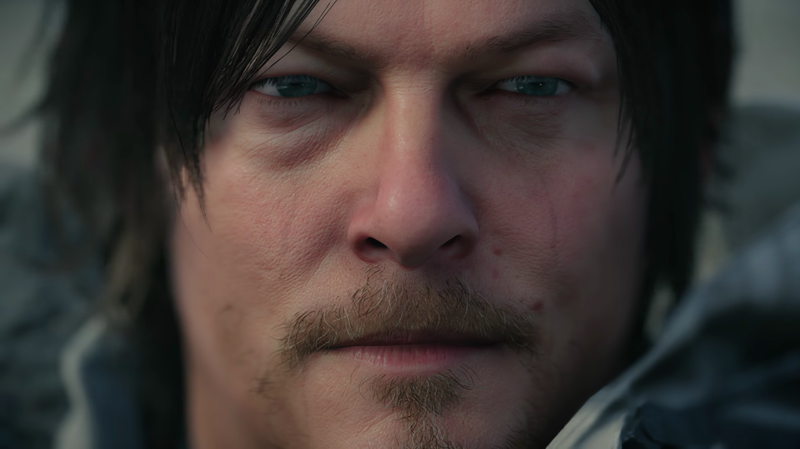 Here's an eight minute trailer for "Death Stranding" if you can piece it together, more power to you!